As soon as the caller identified himself, my heart sank. Not another one. I let him explain—barely making it, bandmate working three jobs, time to cut back. This truth hit them suddenly. No time for thirty days’ notice. He’d moved all their stuff out early that day—amps, speakers, drums, guitars, miscellany only musicians know. All of it now crammed into corners of already cramped living space, it won’t see use. It will sit there until their finances improve or until, on some forlorn day, they decide to sell it. My vacancy rate now hovers at twenty-five percent – four studios out of sixteen. It’s actually worse than that. I’m down to three actual bands plus one unit occupied by a drummer who needs a place to practice when his band isn’t on the road and one unit occupied by a retiree who used to be a big time guitarist. He and his wife live in an RV, no place for him to play. Then there are the hip-hop and rap guys, three studios without a drum or instrument, nothing but a computer set up, comfortable furniture, and microphones. The other rented studios are occupied by an accountant, a masseuse, a writer, and an artist. I’m actively advertising the units as office space, work space, a place to store things if someone needs a temperature- and humidity-controlled room. There are two bathrooms including one with a shower for rinsing off that after-gig smoke-and-booze film that mixes with sweat and sticks to hair, skin, and clothing. There’s a break area with microwave, bar sink, and coffee maker. There’s a loading dock leading to an entry with a keypad lock, steel doors set in steel frames set in concrete block walls. Another key code is required for each tenant to enter his individual studio. Surveillance cameras further enhance security for tens of thousands of dollars worth of gear acquired over time—keyboards, sophisticated mixing boards, smoke machines plus t-shirts, CDs, and other promotional items. Most of all, the studios provide sound control. Heavy metal played at two a.m. does not leak outside because the walls and ceilings are double-layered, offset with sound clips. It’s a niche business, something I got into by accident. Back in 1989, I gained ownership of an old railroad property where my dad and I had operated our piano repair business since 1981. The ramshackle buildings stretched along a block of spur track once served as warehouses, a 1940s Quonset hut among them. We used only half of one building, leaving room for multiple renters. As it turned out, the greatest demand for space was rock and roll bands who needed rehearsal space. Many repairs and changes in those old buildings over the coming years created eleven rehearsal units. Even at that, I usually had a waiting list. Nothing about those old buildings worked well for bands—except the price, ranging from $200 to $300 per month. Sound leaked out so badly that police forced rehearsal shut-downs on a regular basis. Keyed doors meant a continuous drama over lost keys or the need for new locks because the drummer lost his mind and they wanted him locked out. No humidity control, no central heat or AC. Around 2003 when retirement rolled around and we shut down the piano business, real estate development was exploding all around me. I caught the fever. Perfectly positioned between the university, downtown, and the entertainment district, the property could be the home of a profitable development of apartments or condos alongside commercial space. One of the questions that came up during that two-year frenzy of architects, engineers, city planners, and financial shenanigans was: What about the bands? The bands. By now hundreds of bands had sojourned there, some famous, most of them not. Some lasting a few months, some for years. I continued to have a waiting list. So I spent considerable time looking at affordable properties where I could create the best possible rehearsal studio space. I borrowed money for a down payment and contracted with various trades for a remodel of an existing building. I went into debt for a quarter million dollars. On opening day, April 2006, the studios filled up. Except for a few dark months at the bottom of the recession in 2008-9, they stayed filled. At some points, bands shared space in the larger units and still there was a waiting list. Then, inexplicably in spring 2016, all that changed. Rent was paid late or in partial amounts along with fervent promises—soon as we get this recording deal done, soon as we get back from tour. Vacancies didn’t get filled. By the end of the year, four vacancies existed from month to month. By mid-2017, there were five. I’ve talked about this with some of the musicians who have rented from me for years. The sad truth is that the local scene has changed dramatically over the past twenty years, especially in the last ten. Back in the day, a person out for a night of revelry could stand on the sidewalk on Dickson Street and hear rock and roll leaking out into the night from clubs up and down the street. Live music brought in the customers, eager to support their favorite bands with a small cover charge. The money added up for the bands, and the club owners made money off the drinks. People thronged the dance floor, shouting and laughing as the heavy beat and guitar riffs joined them together in a primal celebration of life. These were songs of the soul in the glorious tradition of rock and roll, an expression too heavy for mere words. This was the Beatles, Jimi Hendrix, Led Zepplin, Pink Floyd, and all the greats and not so greats who tapped into the zeitgeist of the times in protest of war, of social injustice, of human angst in the unspeakable onslaught of life itself. We needed the music to get us through. Do we not need it anymore? One club owner explained to me that the whole scene changed as more people got iPhones. Patrons wanted to be free to circulate up and down the street, meet friends at one place, go to another. It was about seeing and being seen. Texting ruled. No one wanted to pay a cover or cared whether there was live music. Now on any given night, a person standing on the sidewalk finds the street mostly silent. Two or three clubs still invite live performance and there are occasional music fests. But the bread and butter money has dried up. More than the loss of local venues is the lingering impact of economic downturn. Prices for food, rent, and everything else has gone up but wages haven’t. For young men and women hoping to move forward in the music industry, there simply isn’t enough to go around and still cover a modest $250 to $300 per month studio rent even when shared among three or four bandmates. And why should they? Since music went digital, the scaffolding holding up the music industry has mostly collapsed. People routinely steal downloads. Whatever tiny increments of profit someone’s CD might generate are siphoned off by the recording studio and the promoters leaving the band with barely enough to cover the costs of touring. People take music for granted. It’s ubiquitous. In every office and marketplace, every movie and television show, every waking moment, music undergirds our voice-overs. If someone suddenly pulled the plug and music disappeared, we would stand aghast at the disconcerting silence. The musical background spans awkward moments in conversation, social unease as we crowd together as strangers in increasingly jammed spaces, and in long private moments when we don’t want to face whatever is going on in our own minds. We rely on music in ways we hardly realize. But we’re mostly not willing to pay for it. It’s not only that musicians are often forced to play for free, it’s that the economy places little value on it. Four vacancies is my break even point. Fewer means I gain a slim profit to bring home to supplement my meager Social Security. More means the operation isn’t meeting its expenses. A continuation of the status quo means I have to think seriously about selling the property, and I’m not sure that the property will bring what I still owe. At the time I jumped into the new building, spent weeks learning about acoustics and building materials and security systems, I diligently wrote out my business plan. In the part where I needed to describe my exit plan, I described how the spaces could be used for offices or work spaces or even living quarters. 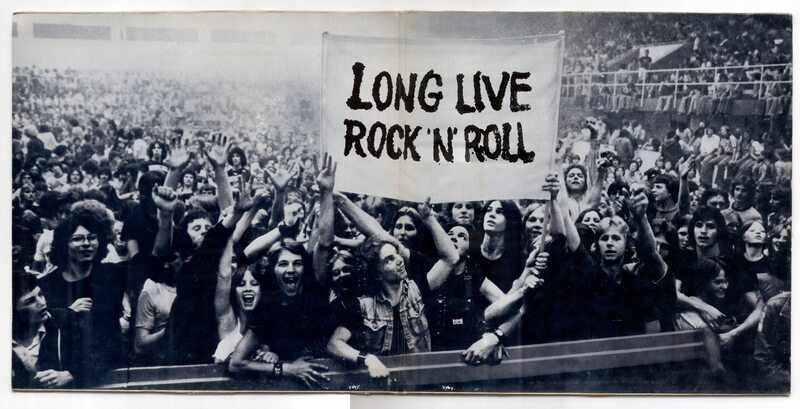 But, I added, rock and roll will never die. Maybe it won’t. Maybe this is just a weird bubble on the local scene that has little relevance to the future of this art form. Maybe in the near future, local talent will again seek out space to create musical statements about the emotions and challenges we face. The big concerts still draw tens of thousands of fans, and a handful of stars still earn their fortunes in the trade, so there’s still the hope of fame and fortune for those intrepid few who gut out the hardship and keep playing. I hope I can hold out and do my part to keep the dream alive. This entry was posted in American Culture, current events, Economics, Local History, memories and tagged artists, bands, creativity, drums, guitar, Keyboard, music industry, musicians, recording, rehearsal, rock and roll, tours on November 21, 2017 by Denele Campbell.